One of the biggest heat losses in your home is through the windows. If you don’t have well-insulated windows, you can use bubble wrap as a cheap insulator. Cut the bubble wrap to fit the window. Spray the window with a light mist of water. Place the bubble wrap on the wet glass. Sunlight can come in, but the wrap will keep the heat inside your home. It’s easy to remove and replace any time over the winter. Prevent heat from escaping through the bottom of your doors by installing foam piping across the bottom. You could also purchase draft blockers. The main thing is to have something that keeps the heat inside. Check the owner’s manual to see if you can add a cover to your water heater to prevent heat loss. 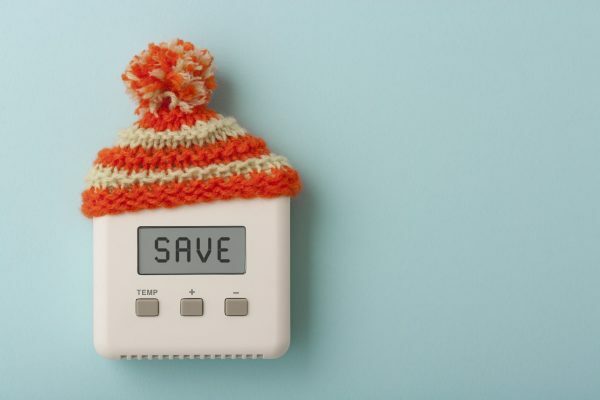 This insulation can save you about $20 a month, according to the U.S. Department of Energy. Touch your water heater. If it’s warm, it probably needs insulation. There should be a switch on your fan that lets you change the direction of the blades. In the winter, set the blades to rotate in a clockwise manner that creates an updraft. Warm air rises. By switching your fan blades, it pushes the warm air toward the walls and back into the room. Using a small piece of toilet paper, check along the door and window frames for leaks. Hold the piece of paper in front of the frame and watch for it to move. This indicates you have air coming in through a crack. Use foam insulation to fix the leak and reduce heat loss. An East Bay general contractor can also help diagnose issues in your home structure that might be sources of energy loss. Your local Bay Area heating company will keep your heater operating at its best. Make sure to change the filter at regular intervals. You may also want to consider a programmable or smart thermostat. You can reduce the heat when you aren’t home but have it come on 15 to 30 minutes before you get home to make sure your home is comfortable. Call B.A. Morrison, your local East Bay HVAC company for service before the temperatures drop to make sure your heater is ready. To contact us, Call 510-538-9817 or request info HERE.